30 days notice is required for cancellations. Casual Visits are available at $10 for 1 day or $29.95 for 1 week. *24/7 Access requires an Access Card which will incur a one time $59.95 fee. At the gym in staffed hours or online. How long does it take to join? When do my Direct Debits come out? If I need to cancel how do I? Once I join is there anyone to help me? Our friendly staff members are more than happy to show you how all the equipment works and give you training tips. Plus we have great Personal Trainers, if you want to take your training to the next level. How safe is it to train at night? The gym is under 24 hour surveillance with duress alarms in case anything happens. 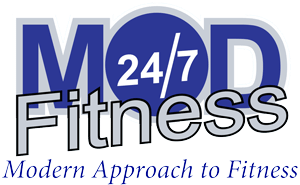 Only members can gain access to the gym out of staffed hours. Is the gym air conditioned? Yes it runs 24 hours a day.